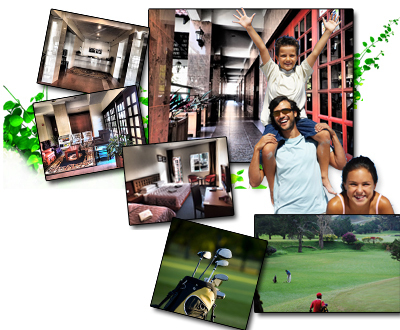 Iris House Hotel is perfectly situated for a family getaway with tourist attractions that are close-by. This is where you will find most of the hotels, restaurants of varying cuisine. The cool climate does make steamboat lunch or dinner a primary choice here. Iris House Hotel is just a mere few minutes' walk to the main Brinchang town and the ever popular night market or rather the locals call it ‘pasar malam’. This popular night bazaar lights up nightly during peak season, on weekends and public holidays, makes a prefect stroll after dinner where fresh produce can be purchased and souvenirs are aplenty. Fresh vegetable, flowers, fruits and satay are favorites among family visitors. It has become an attraction too where foreign tourist practices a bargain the local style. This place can get really populated during the weekends and holiday season. Expect slow traffic and scarcity of parking bays during this time. Next to Ringlet, this is the only other town with petrol stations, so keep your fuel tank in check. Just 1.8km away, the Cameron Highlands golf course is a well carved out of the foliage and forests of the Malaysia highlands. Golfers find it refreshing to tee off at dawn taking advantage of the cool climate here. Tree-covered mountains surround the entire 18-hole course, providing a spectacular backdrop for all visiting golfers. This is definitely an escape from the work week grind in the city. Being a primarily agricultural domain, you will find an abundance of vegetables, cactus valley and fruits farms here. Cameron Highlands is also the leading producer of flowers and tea in Malaysia. If you are browsing the web looking for a budget stay, Iris House Hotel is a self-contained low rise hotel with 4 different category of room types to suite almost every need. 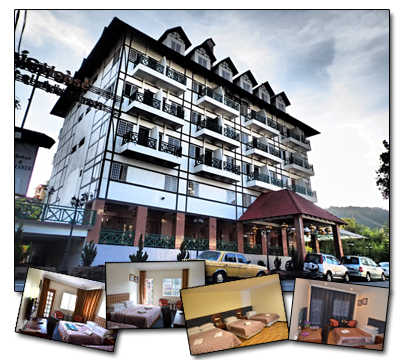 It is also famously known for its successful hosting of corporate excursion and incentive groups with great natural lightings and fresh Cameron Highlands breeze multi-purpose meeting located at the roof-top of the hotel. The meeting room capacity can cater up to 120 pax. We welcome you to the fresh mountain air of Cameron Highlands, a welcome respite since it was discovered in the early days.